We love feedback! If you have any questions or concerns, please use the form below. 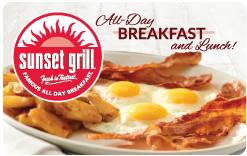 Be sure to check out our FAQ section for quick answers to frequently asked questions about Sunset Grill.